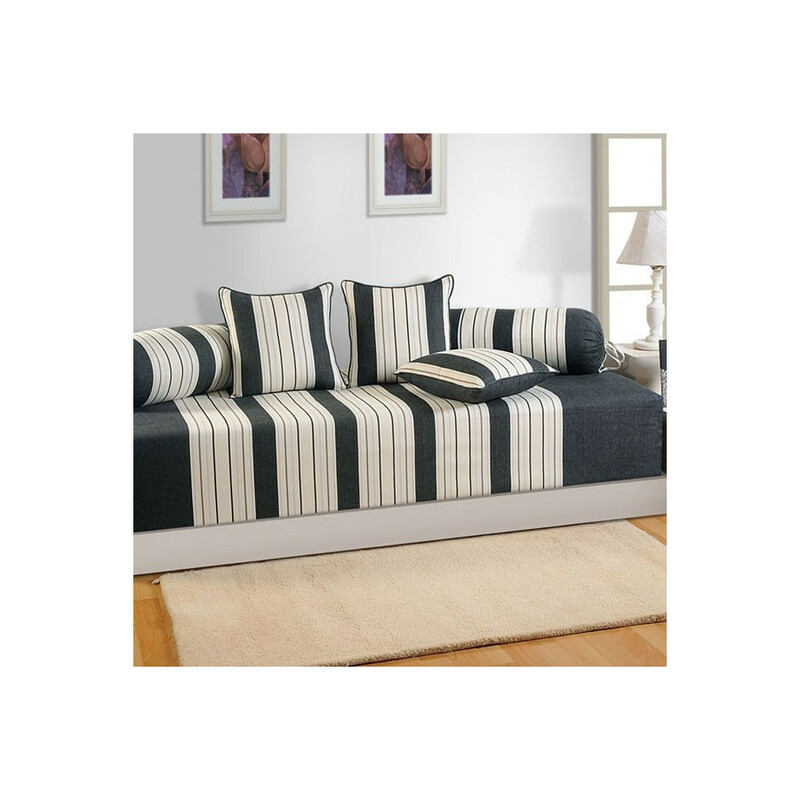 Cotton striped diwan set is all you need to keep up the times. They are available with extra cushion covers and bolster covers. With the ease of handling you can get them washed in the washing machine with cold water. Fortify your haven with the ample dose of colors and style. With the stylish and glamorous avatar it will enlighten your dwelling. The diwan coverings will enwrap you with soft texture keeping your cozy and refreshed and relaxed. Let your home enjoy your personal touch and radiate it with the customization facility of the portal. 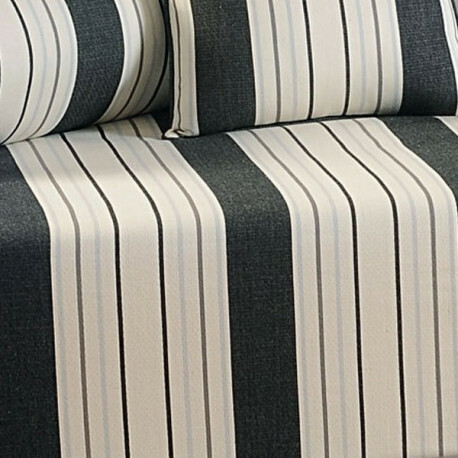 Bring the invigorating air in the summers with the cotton striped diwan set. Contemporary designing that has been used in the professionally weaved linens will give a sense of expansion and spacing. You can enjoy your family time on it. Not just quality it will build up your emotional bonds with your family. Grey White Linea Diwan Set will be the preferred one when you’ll have the guests coming over. High thread count of the fabric makes it more firm, soft and supple. Bringing exotic design to the household it will yield maximum out of the materials. Reasonable pricing of the sheeting can be paid via cash on delivery. If you are always busy and on the go then you can give the payment via credit cards and demand drafts. Being pocket friendly in price they become even more tempting. With the passionate colors they will influence your mood in a great way. Cotton finish will give you royal bedding. Inspiring you for an urban and chic lifestyle it will bring exquisiteness to your home. Mix and match with the colorful or monotone cushion covers. They are yarn dyed which will maintain the charm of the vibrant colors for a long time. Twill weave not only fills the sheeting with softness but also warmth. Enjoy the stylish living with the magic of natural fibers. 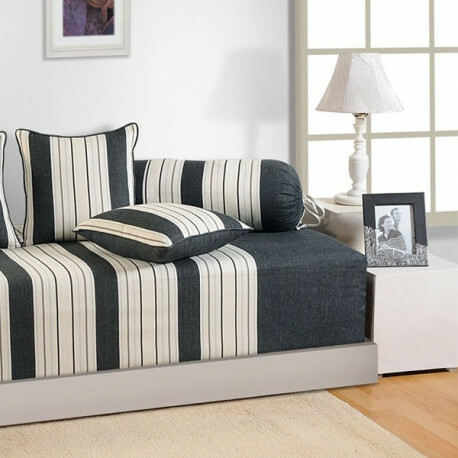 Buy Grey White Linea Diwan Set from Swayamindia.com and sink in the worldly charm. Spectacular pieces will surely enliven your space. I am very happy ..